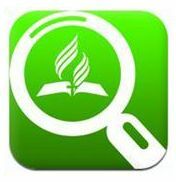 Upper Columbia Conference has just released a new mobile Adventist directory app for Android and Apple devices. The app helps people quickly locate Adventist churches, schools and institutions. Users can easily find the nearest Adventist organizations based on their current location. The app provides basic phone, Web contact information and directions to specific sites. While the app currently provides information on Adventist organizations in portions of Oregon, Idaho and Washington, it is capable of adding information from other Adventist conferences in North America upon request. Conferences interested in adding information for their organizations should contact Jay Wintermeyer at the Upper Columbia Conference.